It's a new year which means you can request a new Chapman's ice cream coupon! This is great as their products are pretty inexpensive already so when on sale this can mean a free product! Please note you can request a coupon once a year. I do not send these out, I am just sharing information about the offer, you need to follow the directions below to get it. Click on the link below and complete the form and write Chapmans a message explaining that you would like to request a coupon for their products. Be sure to include your mailing address so that they know where to send the coupon. Coupons take a couple weeks to arrive. Last year it was a $4 off coupon, I am not certain what this year's is. If you know, please leave me a comment below. 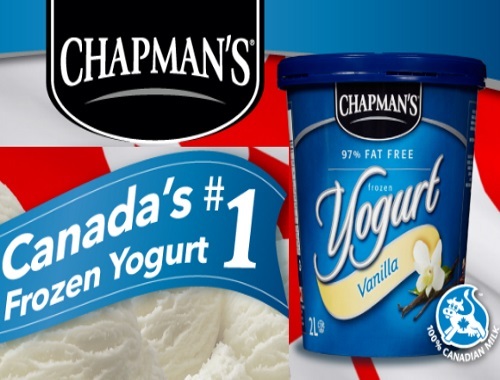 We buy a lot of Chapman's products which includes ice cream and yogurt. We're always looking for a way to save.